The roles of instructors are constantly evolving. Teachers are challenged daily with the task of being classroom managers, presenter-lectures, mentors, instructional designers and numerous other tasks. Too many times teachers find themselves stretched to the limit. In the 21st Century teachers are challenged to become technology experts overnight. Technology is being implemented in the classrooms, but is it being done properly? Integrating technology into classroom instruction means more than teaching basic computer skills and software programs in a separate computer class. Effective technology integration must happen across the curriculum in ways that research shows deepen and enhance the learning process. In particular, it must support four key components of learning: active engagement, participation in groups, frequent interaction and feedback, and connection to real-world experts. Effective technology integration is achieved when the use of technology is routine and transparent and when technology supports curricular goals. Technology should not be the goal. Adding technology for the sake of having technology in the classroom does not work. Technology is merely a tool, a powerful tool that if used correctly can have a positive affect on the learning outcome. 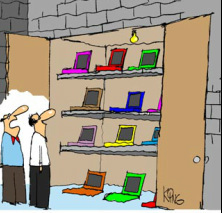 Merely filling a school with laptops or iPads does not prepare students for this century. These tools do not work miracles by themselves. Despite the pumped up claims, new technologies only improve learning when used correctly within the curriculum. Teachers must have a chance to see how these technologies can support different kinds of thinking, creation and expression. Pedagogy and strategy are paramount, the technologies secondary. If done correctly, technology changes the way teachers teach, offering educators effective ways to reach different types of learners and assess student understanding through multiple means. It also enhances the relationship between teacher and student. When technology is effectively integrated into subject areas, teachers grow into roles of adviser, content expert, and coach. Technology helps make teaching and learning more meaningful and fun (Harrison, 2009).